MyCoke in association with Vodafone has just introduced an added-value branch to its existing platform. 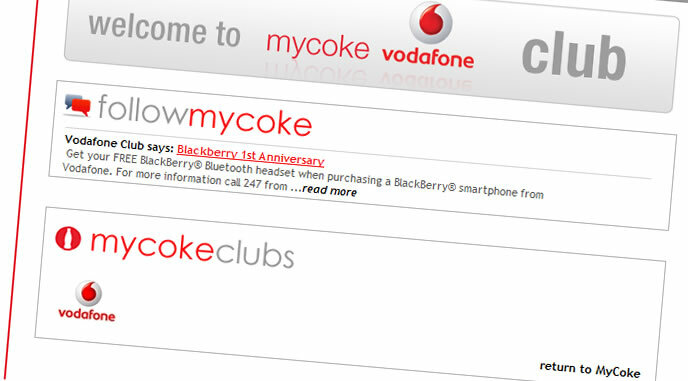 Thanks to Vodafone, being the first to open a myCoke Club, patrons can now benefit from additional features and prizes. myCoke is entirely developed by Abakus Solutions and uses cross-platform technologies, namely web and SMS to offer an interactive loyalty scheme.